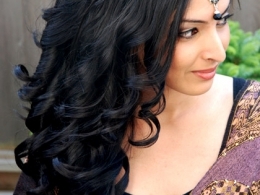 Kim Basran is an award winning hair and makeup artist that is dedicated to leaving a lasting impression on her clients. 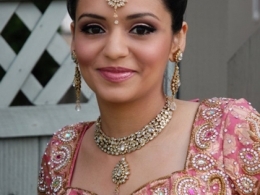 Over the last 17 years, Kim has provided makeup services for hundreds of happy clients. She is passionate about creating a customized look that empowers women to exude self-confidence. Kim has an extensive portfolio and invites you to view a selection of her portfolio below. Kim is happy to consult with clients regarding their upcoming special events and welcomes your makeup and hair inquiries at 604-785-9001. 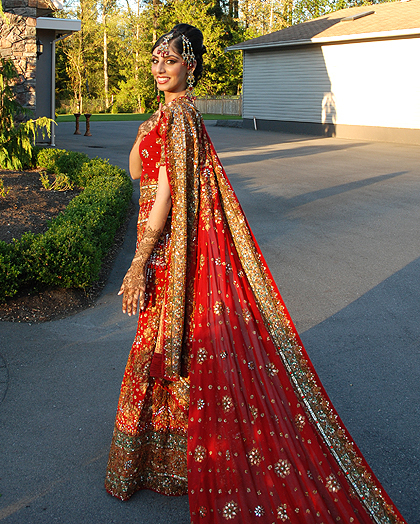 Kim Basran always makes her brides feel and look like royalty for their special day. 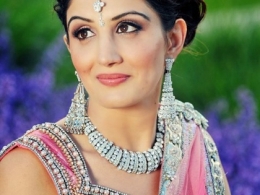 Kim\'s brides benefit from her years of experience in choosing the right accessories, attire and jewelry to create the perfect \"Maharani\" Bride look! 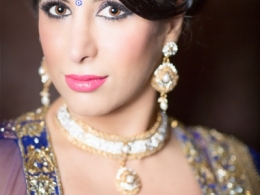 Kim Basran is certified makeup artist that has been providing hair and makeup application services to her loyal clientele for the past 17 years. 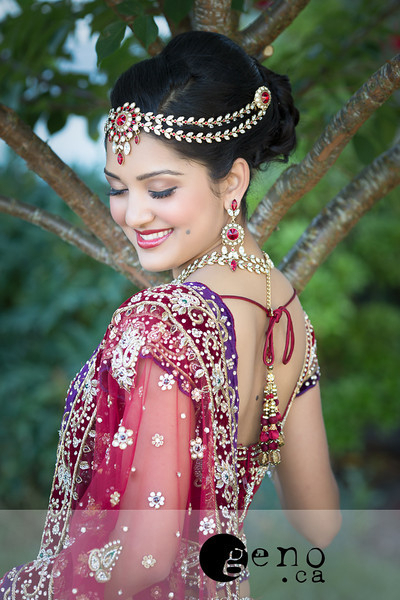 She is an expert at applying a modern, fresh twist to a traditional indian bride look. Kim Basran, certified makeup artist, can apply the perfect blend of colors and shades to complement any outfit. 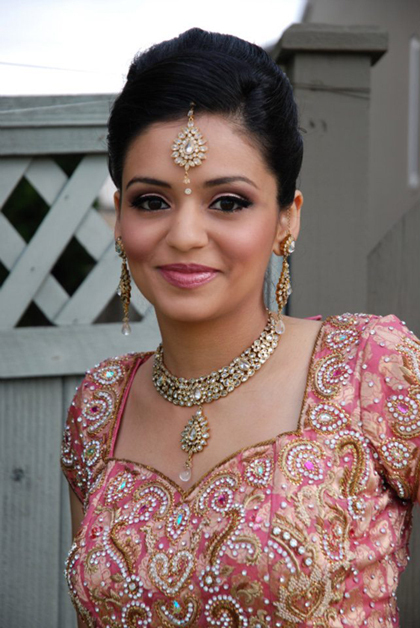 Kim Basran is a makeup artist in Surrey BC specializing in Indian Wedding Makeup and Hair application. 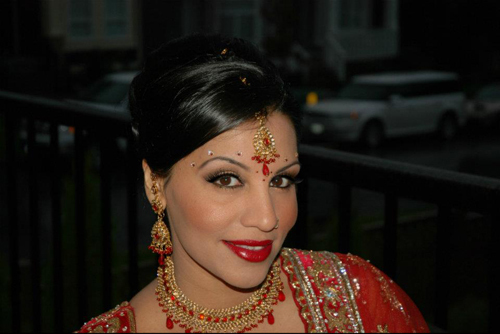 Kim Basran is an award winning bridal makeup artist who lives in Surrey BC. 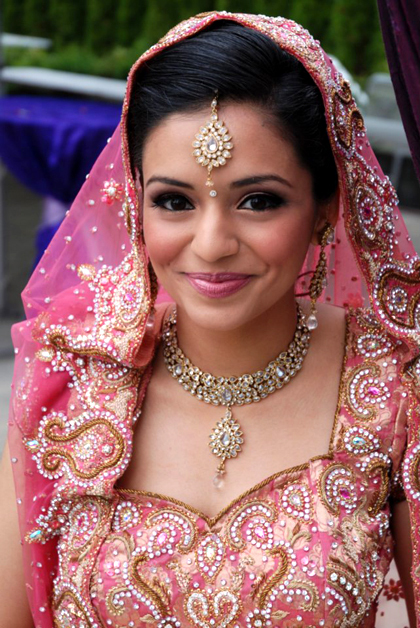 Whether you are a bride from the East or from the West, Kim Basran will create the perfect look for your special day. 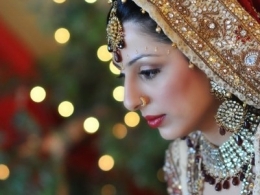 She ensures that the bridal makeup she applies looks elegant, timeless and beautiful. 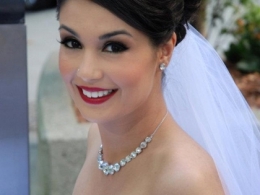 Kim Basran, Certified Makeup and Hair Artist can create the perfect look for your prom and grad events! Kim is a genius when it comes to styling hair. Whether you need a perfect updo, gorgeous waves or a modern style, Kim will style your hair perfectly for any occasion. 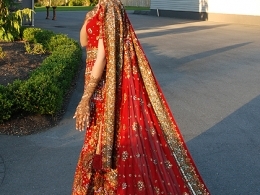 Kim creates such a stunning look for your special day that your soul-mate will not be able to take their eyes off you!